The shorter, colder days of fall are a sure sign that winter is coming. They're also the reason why we're gifted such gorgeous autumns. Embrace the cooler days this month by visiting the parks and be rewarded with the vivid colors of the season. 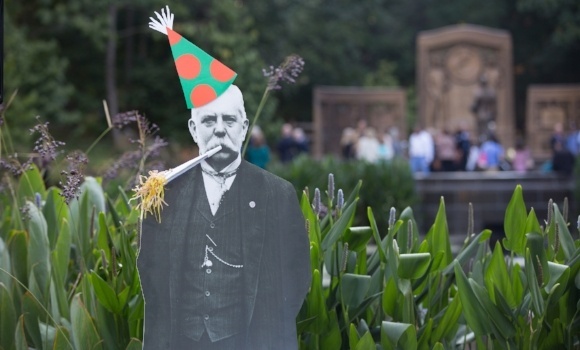 On George Westinghouse's 170th birthday, a large crowd gathered to sing "Happy Birthday" and celebrate the grand reopening of the memorial dedicated to this great inventor. Now open to all, we welcome you to visit this wonderful park place. 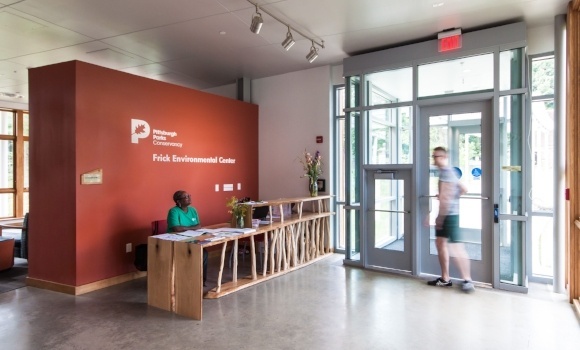 Share your love of the parks through a new volunteer opportunity at the Frick Environmental Center. Welcome visitors to the new Center and to Frick Park as a volunteer Building Docent. Attend the upcoming Docent Training to get started! We'll be skipping the malls and playing in Pittsburgh's parks on Black Friday. Join the national movement to opt outside on November 25th. 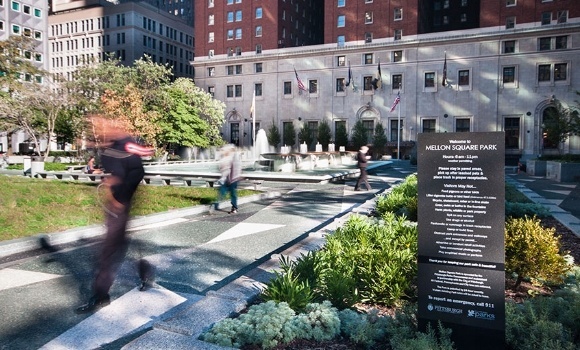 Since 1955, Mellon Square has been the green heart of Downtown Pittsburgh. After years of deteriorating conditions, a comprehensive $10 million restoration was completed by the Parks Conservancy in 2014. The project involved refurbishing the Square's signature fountains; reinstalling dramatic lighting; fresh landscaping; restoring the unique terrazzo; and adding 15% more public space with a new terrace over Smithfield Street. The new Mellon Square is garnering international attention, winning awards including The Docomomo 2016 Civic/Institutional Design Award of Excellence. This restoration not only delights thousands of weekly visitors, it has spurred dramatic economic development in the surrounding blocks. Join us at upcoming volunteer events! See upcoming opportunities on the full calendar below. © 2016 Pittsburgh Parks Conservancy. All rights reserved.